Today I have the privilege of introducing our June sponsor, Home Art Studio! We’ve been sharing this wonderful resource with you throughout this academic year. Please see our full disclosure policy. 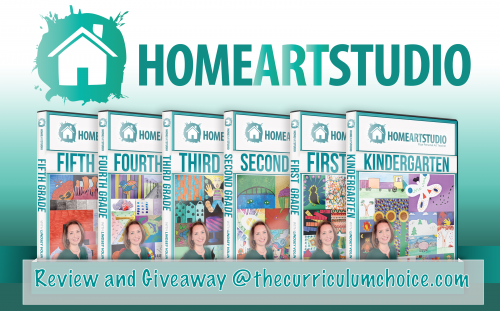 Plus, don’t miss the giveaway at the end of a full set of curriculum – all available grades! As part of the wonderful Home Art Studio DVD curriculum we’ve enjoyed we recently went on a virtual art museum field trip. 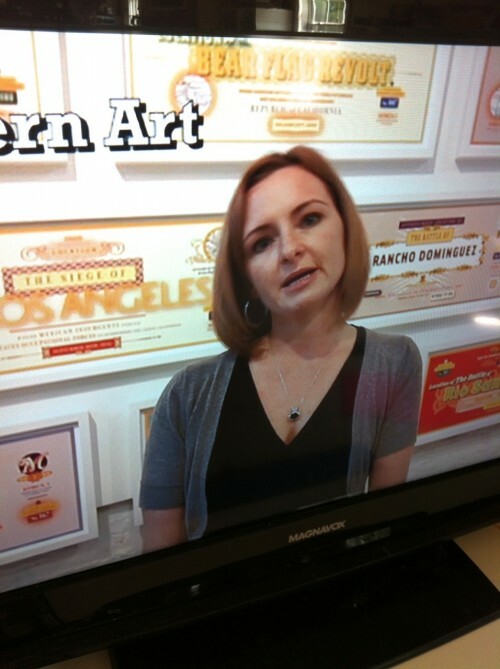 What a wonderful bonus on the 3rd grade DVD – to have your very own art teacher give you a tour of an art museum! 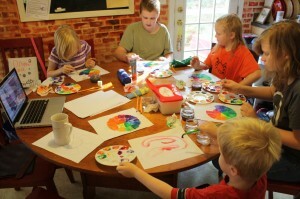 As you can see, many of the families of our review team have thoroughly enjoyed Home Art Studio! Online only. Not valid in any retail store location. ~Homeschooling for a dozen years now, Tricia faces a daily dose of chaos with five children from preschool to high school. She shares a mixture of art lessons, recipes and helpful homeschool habits at Hodgepodge. She and her husband, Steve (who writes app and technology reviews), are co-owners of Curriculum Choice. We really need these videos at my home! Thanks for the reviews and giveaway! I have been trying to find a program for our homeschool for art, since I’m definitely not qualified to teach it 🙂 This sounds great! We would love to win this, thank you! 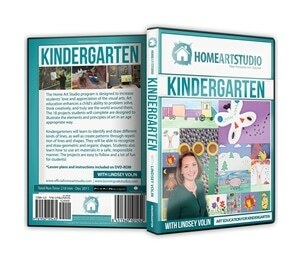 I love all the different projects that are available on these DVD’s painting, drawing, mixed media. They are great projects! I’m most looking forward to the excitement art will bring to our homeschool days, and that my kids can learn from someone experienced! I have avoided teaching art and these dvds look like the answer to my problem! We love taking virtual field trips and what a wonderful feature of this program to have an art teacher guide us through an art museum! My daughter would li ve these. This is my first year homeschooling. The more you share on this program the more I want it for the family artist and the rest of us as well. I love the museum aspect also. Art museums are one of my favorite travel destinations. I may not have much personal skill but my appreciation for art is high and I would love to share that with my kids. What a blessing winning this would be! We’d love to try out the second grade curriculum because the theme would fascinate my daughter! I’m most looking forward to simply seeing the wonderful art that my daughters will create. They are constantly asking to do art and this will give me get out of my “crayon and coloring book” rut. I’m most looking forward to the variety of material covered, and the background info on particular artists, seeing their work in museums where they are not just printed on a page, but shown in depth and to scale. 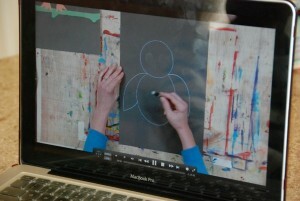 I am most looking forward to my kids being taught art with a real art teacher without the cost of a private art teacher. Thanks for the giveaway! 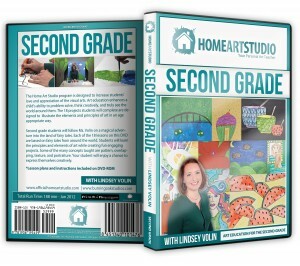 We have used Home Art Studio This year and LOVE it! I just ordered the dvd for next year. I am looking forward to my children going through each and every dvd as they are excellent! Even my 14 yo son likes to participate! I like the way that the program, especially in the younger years, has a theme to it. I like how I don’t have to have any art experience! That would be a huge benefit in our homeschool. My son loves to draw, but I am looking forward to introducing new medium to him! I’ve been hoping to incorporate more art in school this year and this program might do the trick. Can anyone tell me how time consuming each lesson is? And I was also hoping to use the same year for a kindergartner and 1st grader…realistic or no? This would be such a blessing since I am not artistically-inclined. Love the painting and drawing DVDs. We would love to add this to our homeschool program! My children would love these! I have been looking for an art instruction curriculum for some time now to give my kids more fulfilling art instruction. I would LOVE to win this because I think it looks perfect for us! Just started Homeschooling and I want to make sure we taking a well-rounded approach. My daughter loves crafting and just started painting and drawing so this would be great to explore beyond those mediums. 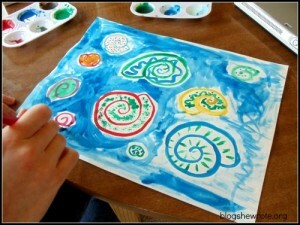 I am most looking forward to creating and learning about art along with my children! I’m looking forward to seeing what my kids can do! They are so creative and with a little instruction I think they will be excited about what they can do. I was already planning to get these for this next year. I’m always looking for something we can use to do art. I never took formal lessons so teaching the technical stuff is hard for me, but we love doing art in our home and this would be wonderful to include in our lessons! My daughter really needs these! Art is not something I am good with and I could really use something like this to make sure my child is getting enough art time in during the school year. We would love this! My daughter will be starting Kindergarten next year and LOVES art but I am not so creative. What a great way for her to learn and do what she enjoys! My son *loves* to draw. I’m looking forward to him learning that other styles of art are just as enjoyable! I love that the lessons are step by step for the kids to follow! I love that it is an inclusive curriculum that includes hands on projects, with art appreciation and art history. 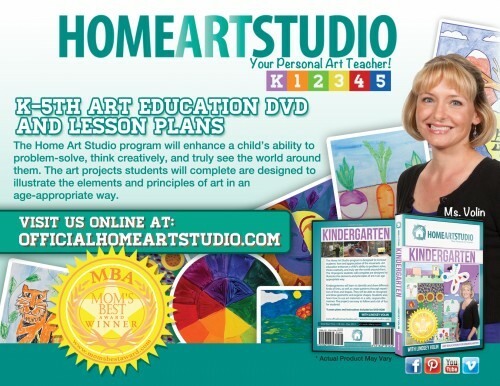 My 9yo daughter loves art…it would be wonderful to have this art curriculum for her. I would LOVE to win these for my daughters homeschool art. I have put these on my Amazon.com wish list. I would love to try out one video to see if it would be a good fit for me and my five kids. They look great! My art adoring girls would LOVE this. Hoping we win! Our youngest will be a senior this year, but I would love to win this for my 5 grandchildren! I am looking forward to using this in our homeschool this year! Art got lost last year, she was in a hybrid school with no art. 🙁 , and it has made both of us sad. I love the fact that they are videos! My son is a visual learner and this would be wonderful to have for next year! thanks for the opportunity to win! This art collection looks like the answer to my prayers. I have such a hard time putting together projects, and thinking of the art skills that I need to teach!